As the weather gets warmer, one's thoughts tend to drift towards icy cold, creamy dessert treats. While ice cream may be your summertime favourite, there's a healthier way to indulge that will still completely satisfy your cravings. 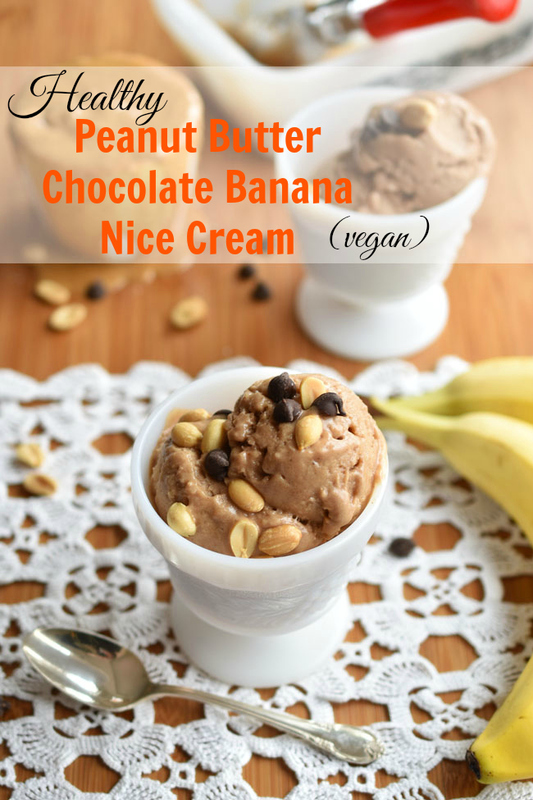 I've created this healthy Peanut Butter Chocolate Banana "Nice" Cream as a still-delicious, but more nutritionally beneficial (and dairy-free, vegan) version of ice cream. If you haven't heard of "nice" cream before, you're in for a revelation, because this taste sensation get its ice cream-like texture from frozen bananas. Bananas. That is all. 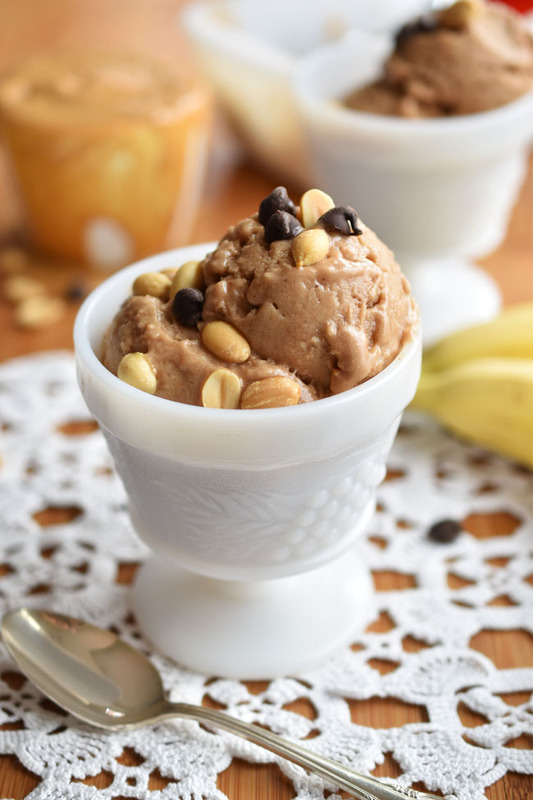 While you could simply use bananas for your creamy frozen treat, that might not be enough to make you forget your addiction to ice cream. That's why I added one of my all-time favourite food combos to this recipe - chocolate and peanut butter. Few other pairings can rival this one. I feel like we are so used to having bananas in our lives that we sometimes forget that these brightly packaged goodies are full of potential health benefits - they are high in vitamin B6, contain a good amount of vitamin C and offer dietary fiber, magnesium, potassium and manganese. Cacao powder is a pure form of chocolate - it's raw and less processed than cocoa powder or the typical chocolate bar. It is an excellent source of antioxidants and magnesium. Besides being delicious eaten right off the spoon, peanut butter offers protein and several key nutrients. In fact, just one tablespoon of Kraft All Natural Smooth Peanut Butter contains 4g of protein and 10% of your daily requirement of vitamin E, niacin, folate and magnesium. I buy a couple different types of peanut butter for our household. My son will only eat Kraft Smooth Peanut Butter. My daughter and I prefer a peanut butter that is made only from peanuts. Kraft All Natural Smooth Peanut Butter is made of 100% select roasted peanuts. While that is a requirement for my little girl and I, the added bonus is that this particular peanut butter is easy to stir - when you first open up the jar, you'll notice a slight separation of the oils but not a huge amount. I find that other natural peanut butters separate so much that they're difficult to stir, leaving an inch or so of dry peanut butter in the bottom of the jar. Not this one! Start by blending the frozen banana slices and the non-dairy milk. (I tend to use coconut milk beverage.) You'll know the bananas are ready when they look creamy and smooth. Next, simply add Kraft All Natural Smooth Peanut Butter, cacao, vanilla and salt and blend again briefly until all ingredients are mixed together. If you're happy with a soft serve or frozen yogurt consistency, your icy treat is ready to go. Just top with the optional chocolate chips and peanuts and enjoy! For a more solid, ice cream-like consistency, spoon the mixture into a freezer-safe dish and freeze for an hour to an hour and a half. 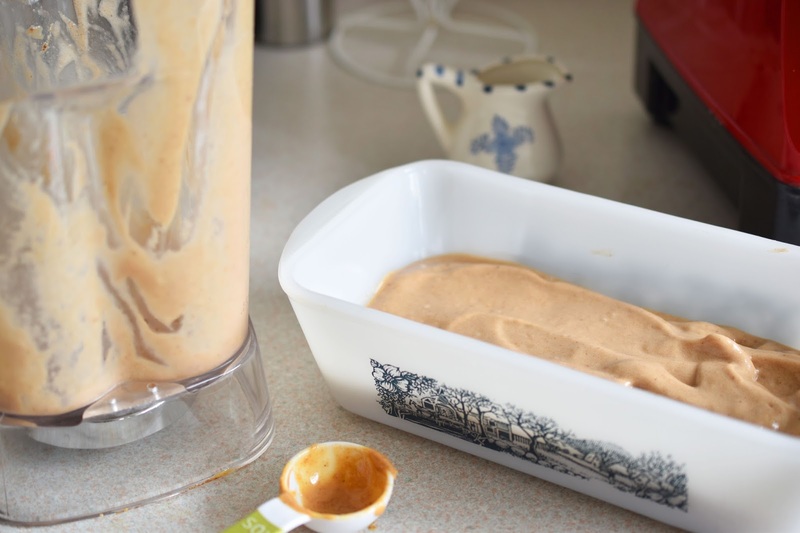 You can certainly keep this nice cream in the freezer for longer, but then you will have to defrost it for 10 minutes or so before you can scoop it. My kids were my taste-testers for this recipe and, happily, they really enjoyed it. In fact, they requested it again the next day after they first sampled it. That makes me happy, because I can offer them a frozen dessert treat that they will readily eat without them noticing (and objecting to) the fact that they are taking in beneficial nutrients. Seeing as I have a preteen and a teen, they could easily make this frozen nice cream treat themselves too. I am always happy to create a recipe that the whole family can make and enjoy together. 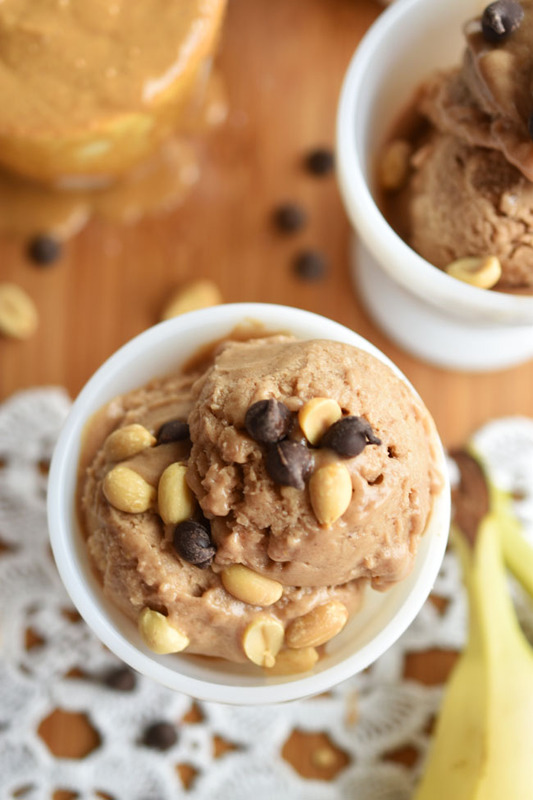 We are all big fans of the classic chocolate and peanut butter combo in this house, so this simple, creamy and delicious frozen dessert recipe is on target for us. I'll be making this healthier, vegan alternative to ice cream a lot over the next few months. I'm already thinking about new toppings to switch things up a bit...maybe raspberries, coconut, banana slices or cashews. Do you have any topping ideas to share? While we certainly love to spread peanut butter on toast around here, there is so much more you can do with a jar of Kraft Peanut Butter and a smidge of creativity. Peanut butter is so versatile and can upgrade any of your favourite recipes. I'll have another new recipe starring Kraft All Natural Smooth Peanut Butter on the blog soon, with an exciting chance to win a grand prize with Kraft Canada. Visit www.sticktogether.ca for more delicious, easy recipes you can make with and for friends and family. 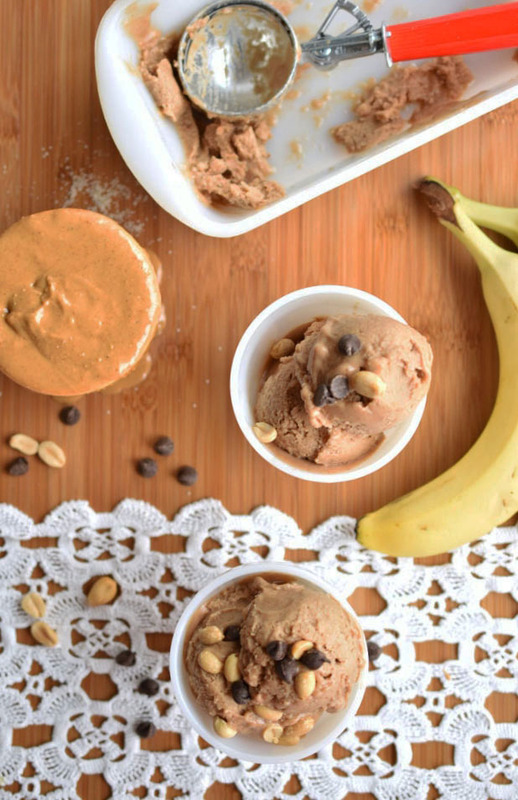 Put frozen banana slices into a high-power blender. Add the non-dairy milk. Blend, using the tamper tool to push bananas toward the blade. If your blender isn't equipped with a tamper, stop the blender occasionally to push the ingredients down. Using sliced bananas will make this process much easier. 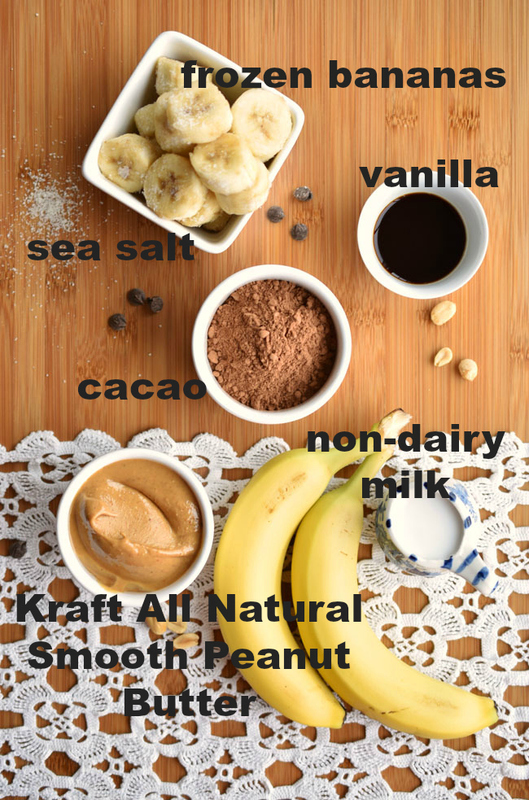 Once the banana has come together into a creamy mixture, add Kraft All Natural Smooth Peanut Butter, cacao powder, vanilla and salt. Blend until mixed. Serve immediately if a soft serve/fro yo consistency is desired. 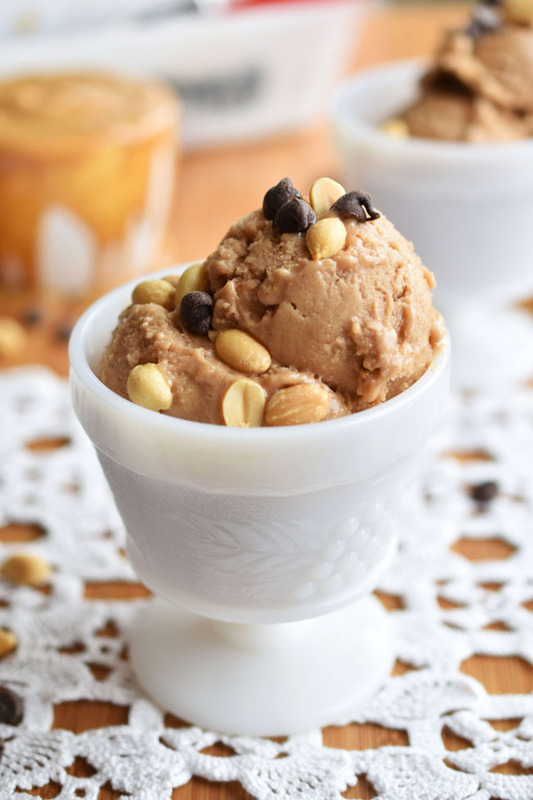 Top with peanuts and chocolate chips, For an ice cream-like consistency, spoon the mixture into a freezer-safe dish (such as a loaf pan) and freeze for 1 to 1 1/2 hours. You may keep the mixture frozen for longer, but you may have to defrost it for 10 minutes or so before scooping it. 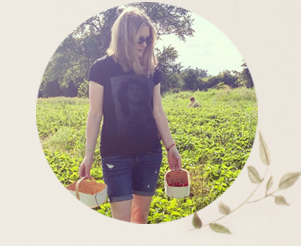 *Although this post has been generously sponsored by Kraft Heinz Canada ULC , the opinions and language are my own. I would use skor bits and crushed peanuts as toppings. oh yum,that sounds delicious. I`d add some chocolate syrup on it as well!! we have just started making ice cream and I also see you are using our fav peanut butter in it. i have a caramel sauce recipe i may just drizzle on top. This looks delicious, but I would have to make it peanut free for my son. We often sub sunbutter. I would throw some chocclate chips and whip cream all over the top of that. Thanks for the recipes! 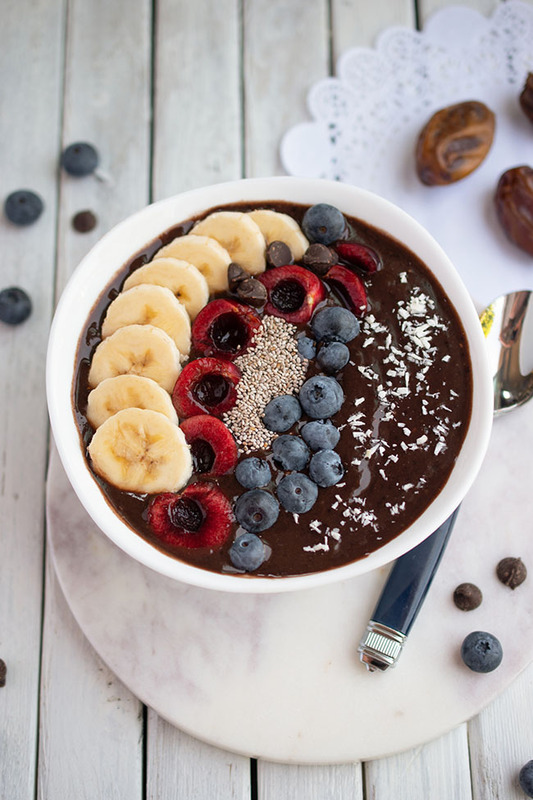 I would add coconut flakes & a bit of flax to just a bit of texture! Coconut flakes would be pretty too! Mmm...I love strawberries. Thank you. I have a whole milk glass collection. Such a classic, timeless look. I think I would use dark chocolate chips, banana and coconut! YUM!! I would add a scoop of Marshmallow Fluff and some chocolate chips - yum! I literally can't get enough nice cream in my life, so obviously I needed this recipe! Looks delicious. Mmmh, this looks so good. I love putting a little granola on top for some crunch. I'd love to try this. For me, I would probably add some dried raisins and coconut flakes. chopped coconut would be a great topping! I would want to add some mango or pineapple. I would add some crunchy skor bits. I'd add some walnuts and flaked coconut! I would use some type of nuts.